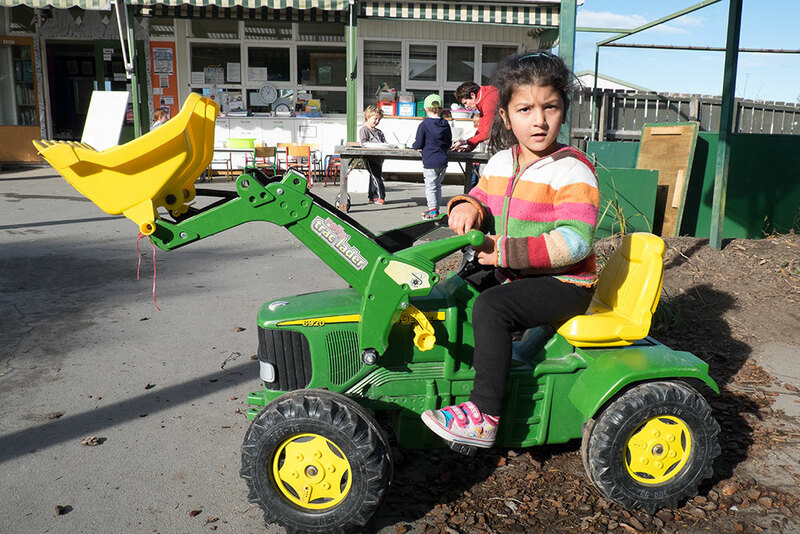 Title Adan plays on the Kindergarten's toy tractor, 134 Wales Street. Notes Photographer's note : Adan plays on the Kindergarten's toy tractor. 134 Wales Street. Kidsfirst Kindergarten.